For what purpose do you train? It’s a simple question, but intention is everything. Going to a gym to “exercise” – to move and stress your body in distinct ways to maintain or improve its physical state – is a very new concept in human history. Further, playing a sport or participating in modern outdoor recreation to accomplish said goal is just as recent a phenomenon. In the not too distant past, movement had a purpose that transcended wellness, vanity, and friendly competition. Movement, in its essence, was about survival. In this brief article, I’d like to examine this disconnect and explore its implications on our culture as a whole. Iconic historical warriors such as King Leonidas, Crazy Horse, and William Wallace didn’t own a gym membership, nor did they likely spend much time training to master sport, calculating their 1RM deadlift, or considering the aesthetic merit of their reflection. They didn’t move to burn fat, build muscle, or activate their glutes. 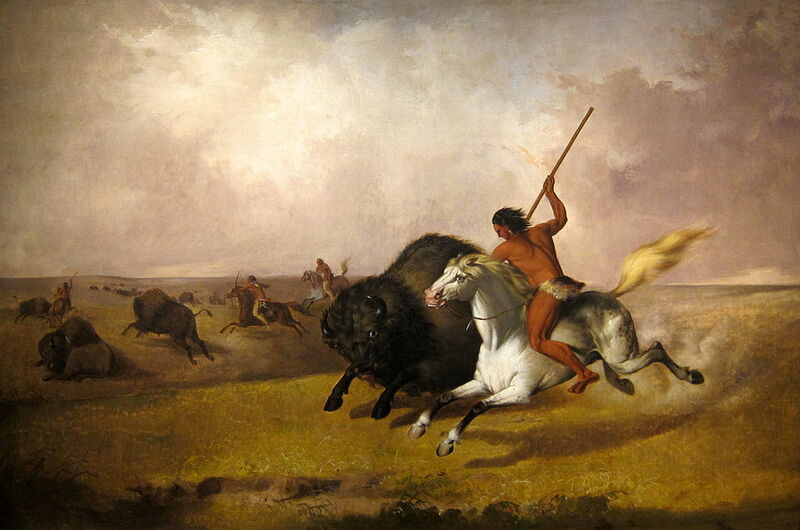 They regularly participated in communal activities such as fighting, hunting, and task-oriented physical labor. They practiced a variety of movements that required the development and refinement of high levels of technical and cooperative skill. And they intuitively understood the value in doing tasks – both with other people and independently – that were tough and challenging. For them, it was about maintaining a way of life; a pride and quality of community. Hence, their training was generally for a distinct purpose: to serve their people and preserve their culture. It’s easy to deduce that their drive toward developing extreme capabilities and mental fortitude – what many historical scholars would call the “warrior ethos” – was born from a deep love of their people. The majority of modern people, by contrast, train and suffer only to serve themselves – whether their vanity, health, physiological well-being, or even their purse. This statement is not a judgment, but rather an observed and obvious reality. We simply have no guidance, no purpose for movement beyond our own personal glory and the seemingly inconvenient maintenance of our primitive physiology. As we’ve removed the need for any survival oriented movement prowess from our communities, we’ve replaced the previously essential human nature of cooperation and altruism with mostly pure competition. This inter-community competition for resources, mates, and attention, which are all natural phenomena, has now sadly become the focal points of life. Though in the bigger perspective, this depressed bubble of hyper-competition is afforded only by a seemingly guaranteed sense of survival. So, it’s very possible that this lack of development of any real world physical capability and true warrior ethos is a natural by-product of modern conditions. But, what if we just flipped one simple switch – a shift in intention – in our collective mentality toward exercise? What if we thought about movement as a practice for something greater than ourselves? Essentially, we turn on the “warrior ethos” at a very basic level in each of us. What if our “biological call of duty” was restored, even if the rationality of the concept at surface level seemed superfluous and barbaric? What if instead of “training for life” we made the shift to “practicing for purpose” in our daily routines? This isn’t about preparing for war – the warrior ethos transcends the idea of fighting and battle. Rather, it’s about being capable to serve yourself as well as our culture as a whole. Training suddenly becomes about serving a greater purpose, becoming “Strong to be Helpful” even if you aren’t a soldier. It becomes about preserving the human qualities of not only physicality but also community spirit that seemed so natural in prior eons. I think deep down, we all want our pursuits to be deeply inspired, and this sort of warrior mentality is something that’s begging to be resurrected. The journey starts with ground movement – re-building the ability to get down on the ground and move for a variety of practical and timeless tasks such as creating fire, growing food, and playing with children. Then, it leads to gait – walking and running being the essential patterns of self-powered human locomotion for tasks such as hunting, gathering supplies, and playing games. 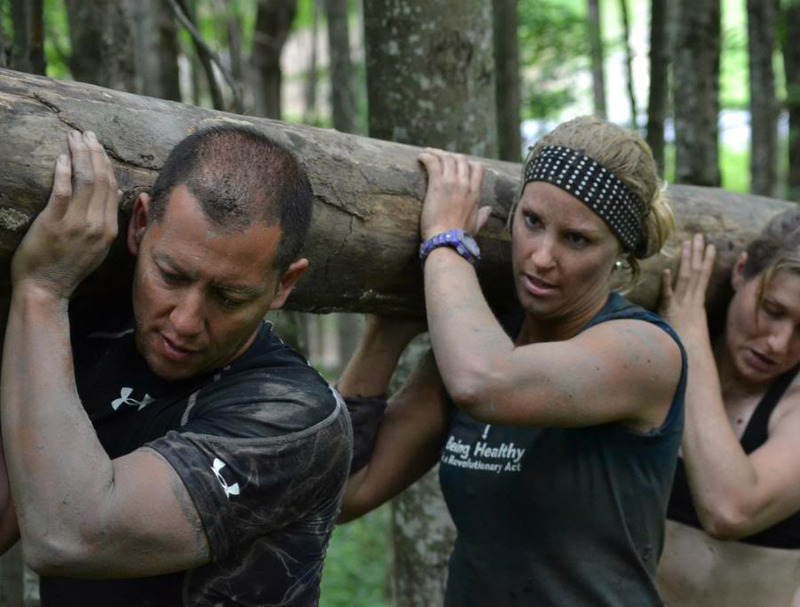 After that, our journey leads to forging the ability to lift and carry heavy objects across challenging terrain for the purpose of building and other physical labors, as well as transporting the injured and sick. 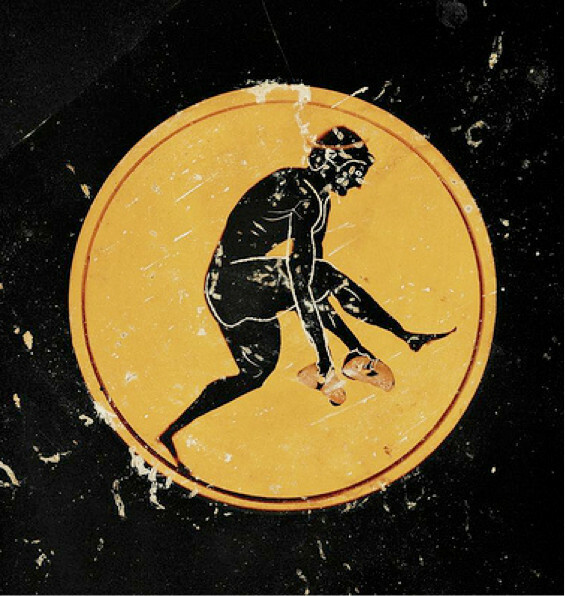 From there, we develop the higher level agility based skills, such as throwing and catching, climbing, jumping, vaulting, swimming, and even fighting – all for the sake of resurrecting our ability to participate in our environment, engage with each other, and become skillful, physically capable human beings. In the end, the warrior ethos becomes the natural outcome of our journey, and both ourselves and our culture stand to benefit. This ethos has been at the very heart of the development of the MovNat method since the beginning. It was something that Georges Herbert observed and responded with an actionable method to set in motion as our population became increasingly disconnected from their call of duty. And it’s what MovNat has expanded upon, adapted, systematized, and ultimately continues to fight to resurrect and inject into the coming generations, as well as re-inspire our current people. The initiation of your journey always comes down to a choice – a deliberate intention. Will you join us? If you enjoyed this post, please share it with your friends and sign up for our newsletter. Also, check out this article on The History of Physical Fitness. And if you’d like to upgrade your movement skills, find a MovNat Workshop near you. Or, if you’d like to go deep in your movement practice and help others do the same, sign up for our MovNat Certification. And if this warrior ethos intrigues, you, join us at our upcoming MovNat Combatives Workshop with UFC fighter, Carlos Condit, where you’ll learn and experience MovNat’s unique approach to fighting to help you get better prepared to protect yourself and others. This is one one of the best articles I have read re fitness. Great job in framing and giving context to exercise. When is Vic going to do a retreat again? Thanks. Hi Patrick. Thank you! 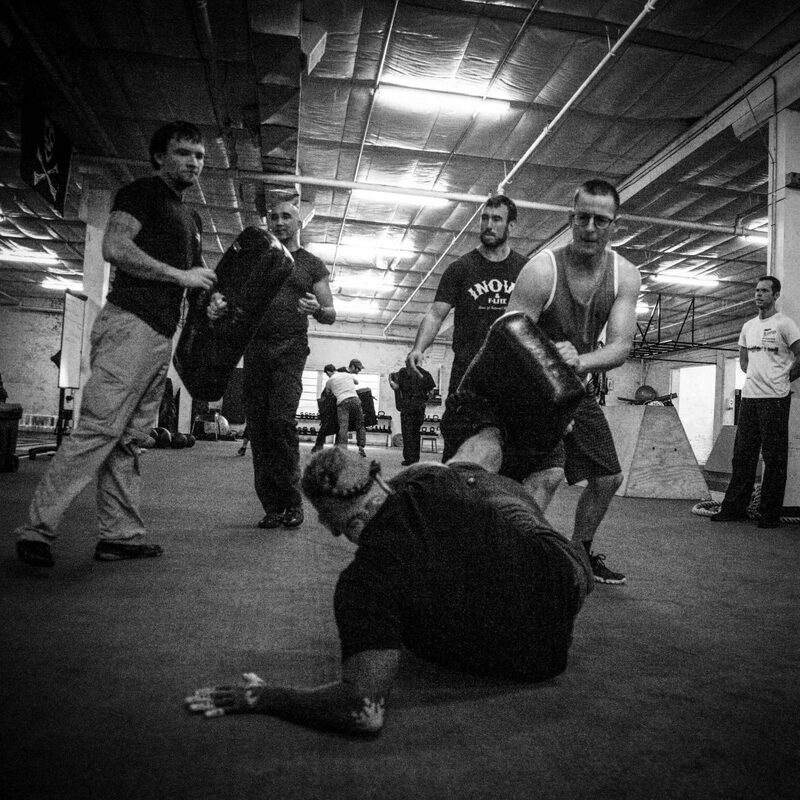 Vic’s next course is Combatives in Albuquerque, which he is co-teaching with Carlos Condit. Erwan is doing a retreat in Mexico as well. Stay tuned on the website for new events as they develop! Do you have a release date for Erwan’s book yet? Long ago I tried to get it from Amazon, and I look forward to getting it when it comes out. I have been a soldier for 17 years. I have spent a lot of that time training and guiding recruits and trained soldiers on practical relevant training that is specific to their working environment (outside, in all weather conditions, tired, hungry etc). I found Movnat about 3 years ago after reading a book called Natural Born Heroes. It is I believe the most sophisticated system of training, that holistically challenges participants. In the world of the big fitness industry, Movnat leaves all others in the past. Beautiful Kashi! Thank you for these insights and we so appreciate your support!